When it comes to udders Marigold is our powerhouse around here. 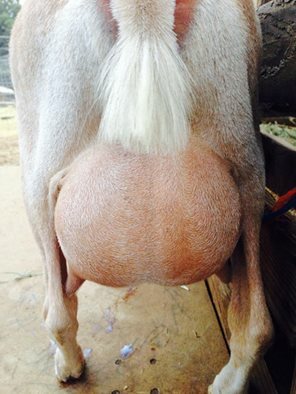 She has a well proportioned udder and good definition in her suspensory ligament. Her capacity is great and she is an easy milker. She’s a registered Nigerian Dwarf and we purchased her bred in 2013 from Prairiewood in Edgewood, NM. She is usually in a hurry to get the to the milking stand and gobble up her grain though and at home she goes on her own and gets right into position. At the fair she has a tendency to drag Ryleigh around the ring because she’s ready to get where she’s going! 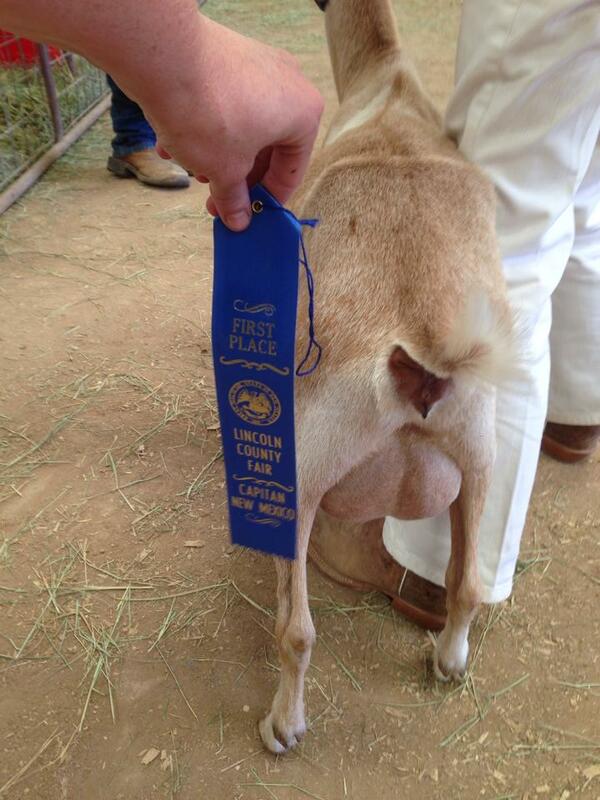 Last year at our county fair Marigold won the award for “Best Udder” in the Nigerian Dwarf class. 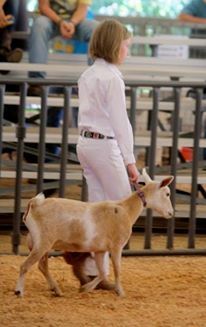 This was her first year freshening and the judge was really pleased with her. She was happy to see some Nigerian Dwarves with good udders and in milk this year. 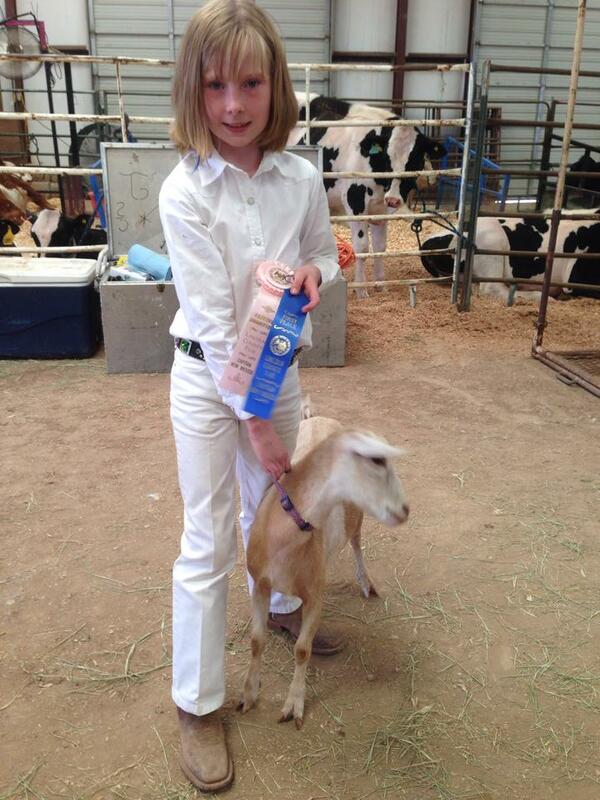 Marigold also took top honor in the Nigerian Dwarf class with first place and was the Reserve Champion overall. She rocked the fair her first freshening! 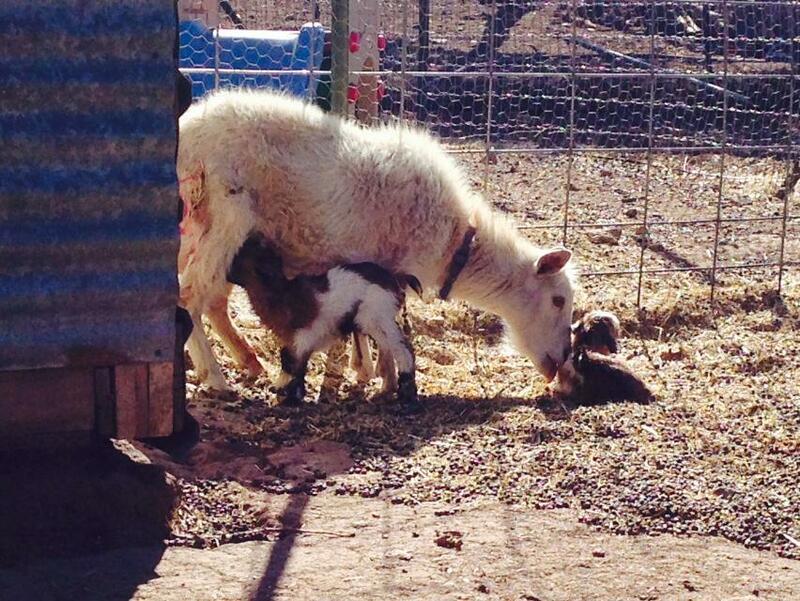 Marigold became the momma to two of our favorites around here last year. Her son “Batman” is a tri-colored buck and her daughter “Sunflower” is everyone’s favorite around here because of her striking blue eyes and sweet personality. She was a great momma and very protective. It’s fun to watch Marigold around the ranch because she is very curious. 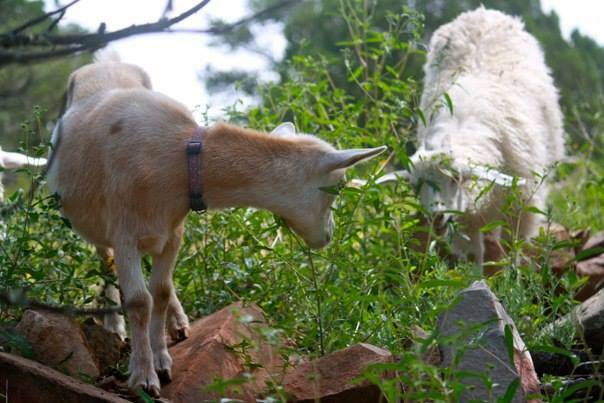 She loves climbing rocks and leads the pack when they are out grazing. Marigold is bred this year to Scooter and we can’t wait to see what colorful babies she brings us this year!